Puhe is an HCI master’s student at the University of Michigan and is passionate about multimodal interactions. She is most interested in combining voice interfaces with other interactive user interfaces such as augmented reality (AR), virtual reality (VR), or physical interactions. 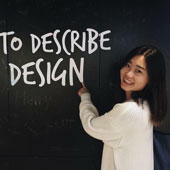 She has worked at Alibaba DAMO as an HCI Research Intern, designing gesture control for mid-air, 3D interactions. Before studying at the University of Michigan, she worked as a software developer for enterprise IoT products at SAP. Connect with Puhe on LinkedIn.